Identity is important. Who do you think you are? This is the truth about identity. Who we see ourselves to be will determine what we do. I’ve seen the hurtful aftereffects of verbal abuse. People who have had insults and lies slung at them and over time they start to believe the things that are being told to them. I’ve also experienced this pain. These lies can chip away at our identity and trap us. They can keep us from moving outside of the bounds of who that person said we are. It’s important that we know who we are in Jesus and what really happened when he went to the cross. 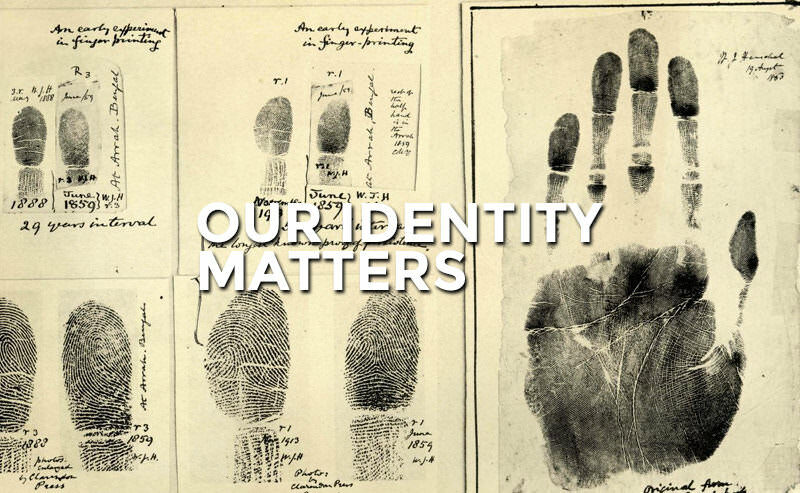 Our identity in him will shape what we do as followers of Christ and what we tell people about him. In 2 Corinthians 5 we are called to be ambassadors of Christ. What this means is that we are called to represent him before others and deliver his message of reconciliation. We are called to demonstrate and proclaim the Gospel. In order to do this correctly, we have to know what the Gospel is first. If we don’t get the Gospel right, we won’t know who we are in relation to God. If we don’t know who we are in relation to God, we won’t demonstrate who he is correctly and we won’t deliver the right message. So what is the Gospel? The Gospel is that through Christ alone we are reconciled to God….that’s it. Anything outside of this isn’t Christianity. It has to center around this truth that Jesus makes us right with God. There’s two ways that we mess this up and it will affect how we represent Christ to the world. The first way we can get our identity wrong is to believe that we changed ourselves. This lie can lead to a message that makes you the hero. It can also lead to a lack of desire to share Jesus with others because if that person isn’t willing to change themselves then maybe Jesus isn’t for them. The second way we can get our identity wrong and mess up representing Christ is to believe that we aren’t good enough or are disqualified from doing so. This lie leads to a belief that you won’t represent Jesus well. Both of these lies focus on what you have done and not on what Jesus has done. This is what the Gospel has to say to both of these people: That you can’t be loved more or less based on your actions. To the prideful person is says that you have to remember that we stand perfect before God ONLY because of Jesus. This means that Jesus is for everyone and he’s the hero. This is what the Gospel has to say to both of these people: That you can’t be loved more or less based on your actions. To the person that feels shame for what they have done the Gospel says that you have to remember that you are no longer labeled a sinner. 2 Corinthians 5:21 says that Jesus exchanged his righteousness for our sin. That means that it’s as if we didn’t do the wrong we have done but instead did the right that Jesus has done. It’s the Gospel that allows us to be children of God sharing the message that God is better than anything else and that everyone can know him through Jesus.